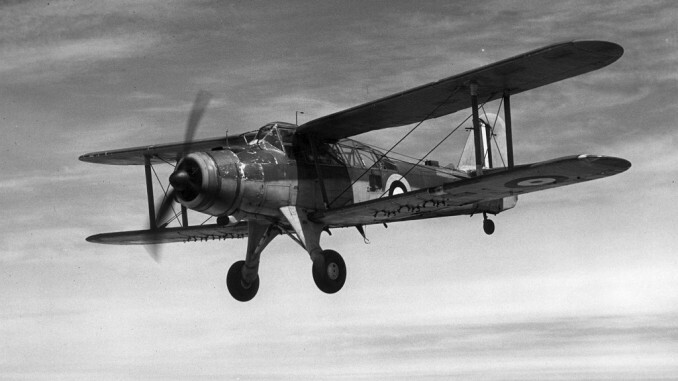 Often described as a failed successor to the famous Swordfish torpedo bomber, the Fairey Albacore was an advanced biplane naval bomber that was ordered as a replacement for its older sibling. Seeking a replacement for the Swordfish, the Air Ministry issued a specification that called for a modernised aircraft that also retained the admirable qualities of the older type. The Albacore was designed with a fully enclosed cockpit for the crew of three, and featured other refinements including a variable-pitch propeller, hydraulic flaps that could also be used as dive brakes, and automatically-deploying life-rafts. It was equipped with a powerful Bristol Taurus engine which in later models provided an output of 1,130hp. Although the Albacore saw its most extensive service in the North Sea, English Channel and the Mediterranean Sea, a handful were supplied to the Royal Navy for use in the Far East. When the war with Japan began in December 1941, five of these Albacores were handed over to the Royal Air Force’s 36 Squadron to supplement the Vickers Vildebeests then in service. 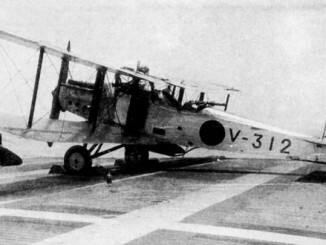 Like the Vildebeests, these Albacores were largely retained for night operations, however a daylight mission was launched in late January against a Japanese convoy landing troops in southern Malaya. 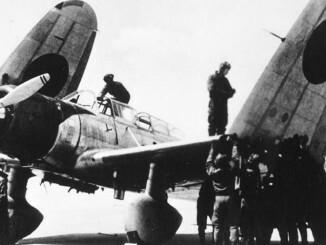 Several aircraft including a single Albacore were lost, and the survivors soon withdrew to Sumatra. Several Albacores were also on hand at Ceylon when the Japanese carrier force attacked the island in April 1942. Some of these were destroyed during the attacks, and the prospect of the radar-equipped Albacores launching a night torpedo attack on the Japanese fleet was lost when the force withdrew before it could be found by the two British carriers in the area. 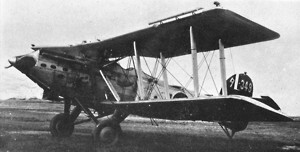 Beginning in 1943 the Albacore began to be replaced by the more advanced Fairey Barracuda monoplane, although a few squadrons did revert back to the older Swordfish.